View Day 5 Prize Presentation on Facebook. 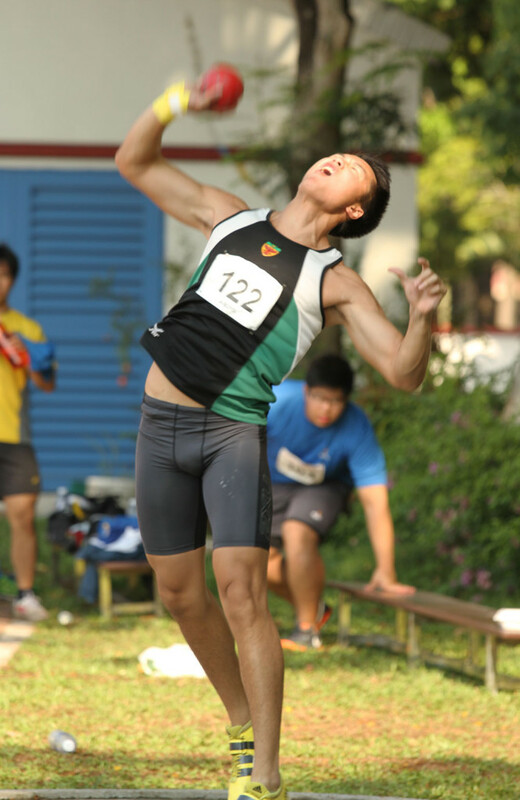 Winning the A-Boys shot put event earlier was Brian See Wei Ren of Raffles Institution. This win makes it his fifth straight consecutive National Schools gold since 2010 in the shot put event. It was the 18-year-old second gold medal from the competition, after clinching the A-Boys discus throw title recently. 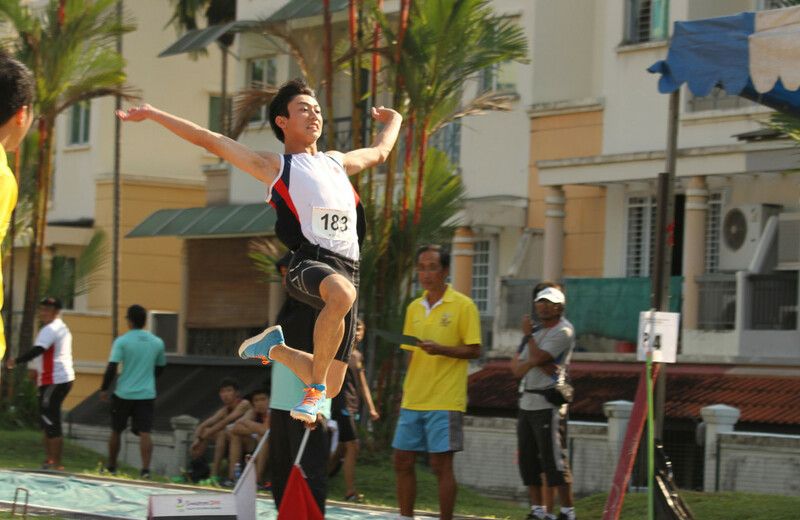 Moh Heng Feng Shaun of Dunman High School was in excellent form in the A-Boys long jump event earlier. The 17-year-old added 31 centimetres to his personal best as he leapt ahead of the field to win gold with a distance of 6.84 metres. At last year’s Nationals, Shaun finished second (B-Boys, 6.41 metres). 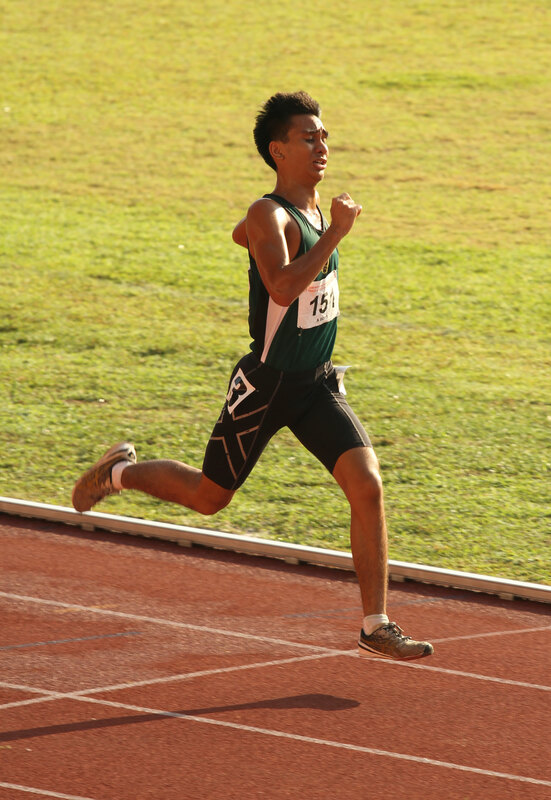 Shohib B Abdul Wahab Marican (16:57.60) from Raffles Institution completed his distance double this season with a win at the recent A-Div 55th National Schools Cross Country Championships, and today earlier a 5000m school boy title. 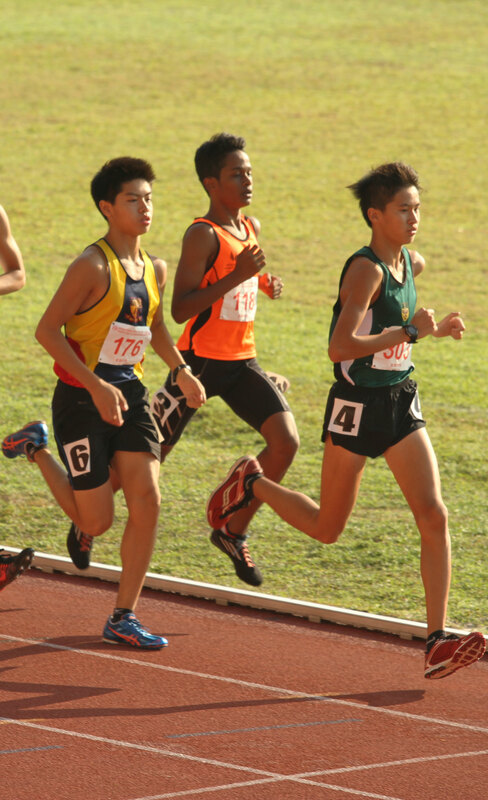 The 18-year-old was a double silver medallist from last year edition of National Schools and this time round he clinched the title with a convincing burst of pace on the second last lap to break away from ACJC’s Leroi Lee Rong Zu, who ran out of gas and finished third. It was a good day for the Raffles Institution boys distance running team. After Shohib B Abdul Wahab Marican wins gold in his A-Boys 5000m event, Tan Chong Qi (Bib #303) who was running the B-Boys 3000m event, followed suit in Shohib’s winning ways. The young Chong Qi improved upon his position and timing, as the last edition he was placed sixth in 10:00.81 , to this year’s 9:34.84.